Lend a hand and bring a smile to our community! 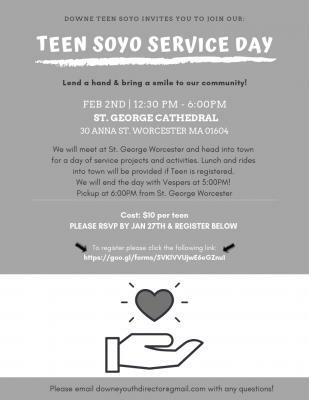 Saturday, February 2, 2019 at George Cathedral: A meal and rides will be provided for all who are registered. We will end the day with Vespers at 5:00 p.m.
RSVP by January 27th online! With the blessing of His Eminence Metropolitan JOSEPH, the 2019 Mid-Winter Meetings ("Let's Head to the West! "), will be hosted by St. Luke Orthodox Church in Garden Grove, CA, from Friday, February 8, through Sunday, February 10, 2019. The Archdiocese and Diocese officers of the Antiochian Women and Teen SOYO will gather for their annual mid-winter meetings. Important forms and information are available below. Please contact your organization leaders with any questions. 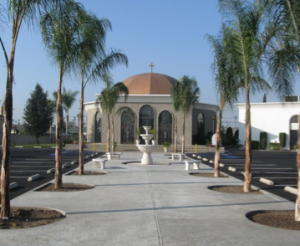 All meetings and services will be held at St. Luke Orthodox Church. 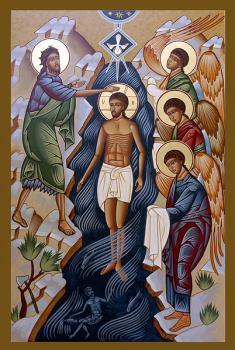 Blessings and greetings on this second day of Theophany — the Synaxis of the Honorable Prophet and Forerunner John the Baptist. Happy feast! I take this opportunity to convey my heartfelt thanks to each of you who sent greetings to me and contributions to our Diocese's "Bishop Basil Missions Endowment Fund" on the occasion of my Name's Day, the Feast of St. Basil the Great which our holy Church keeps on January 1. I am indeed most appreciative of your thoughtful remembrances and generous contributions. 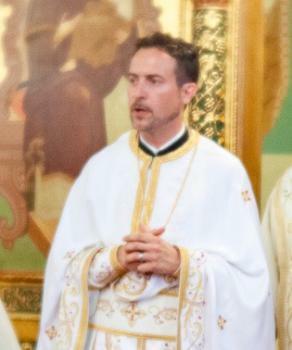 As an update on the "Bishop Basil Missions Endowment Fund," I am happy to report to you that Metropolitan Joseph blessed Archpriest Joseph Longofono of Topeka, KS, a longtime priest of our Diocese, to begin his ministry as DOWAMA's first full-time "Dean of Chapels" effective January 1. My initial President’s letter normally goes out in either August or September depending on the amount of information to be conveyed. You may have thought I had “fallen off the face of the Earth” when I didn’t send out my usual missive, but I have been VERY active “behind the scenes” (which included negotiating a hotel contract for over three months, but more on that later!). Rather than sending you numerous letters and/or emails alerting you as to what was happening, I thought I’d wrap everything up with a neat little bow and send it all at once! 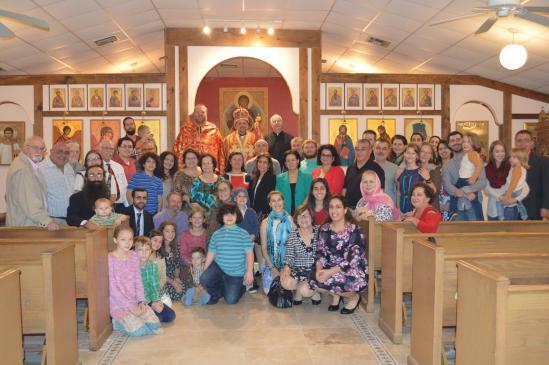 The last gathering of the North American Board was held at the Antiochian Village during the weekend of July 20 through 22. We experienced beautiful weather, a nice turnout of women at our NAB meeting, and got a lot accomplished in a condensed period of time (due to the Archdiocesan Bible Bowl and Oratorical Competition being held that same weekend). We were also gifted with a spiritual and uplifting message from His Eminence Metropolitan JOSEPH, as well as learning about our newest NAB Project. 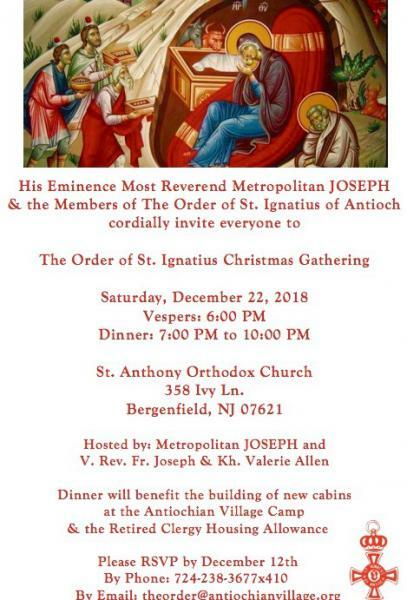 Calling all Antiochian Youth! 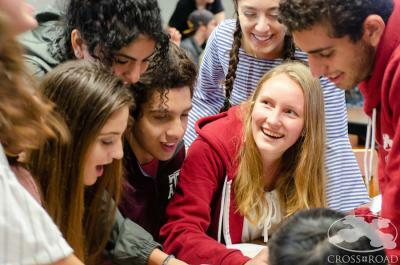 Are you an Orthodox Christian high school junior or senior interested in exploring your faith? 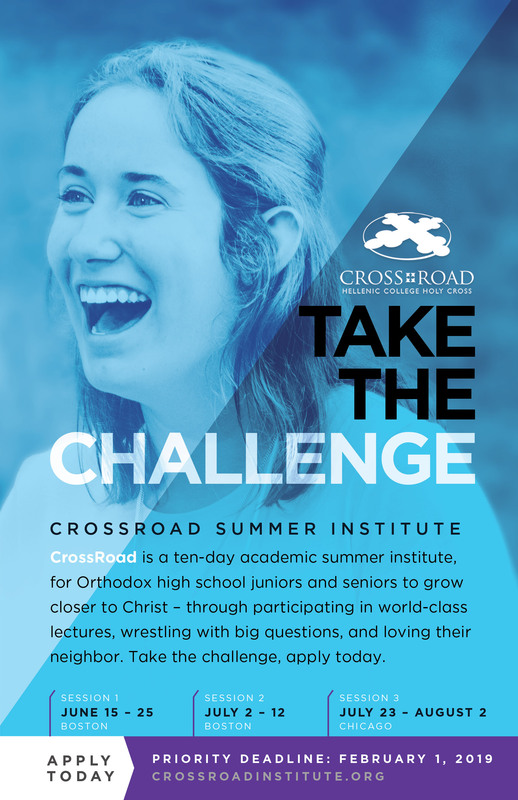 Apply to the dynamic, life-changing program that is CrossRoad! The application deadline is February 1, 2019. Special Olympics campers and staff at the VillageThe 2019 Special Olympics Sports Camp is scheduled to be held at the Antiochian Village August 9–18, 2019. This ministry is sponsored by the North American Council of Teen SOYO, and is the second longest running program of Special Olympics Pennsylvania, serving over 340 Special Olympics athletes, coaches, and staff each season. It is the premier SOYO outreach program, now in its 38th year of service. 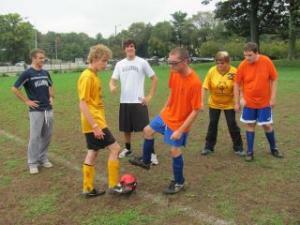 Each year SOYO teens raise the funds on Special Olympics Awareness Day. In addition to the funds raised, SOYO teens provide at least half the coaching staff, and many adult volunteers participate as well. The Very Rev. Dr. Joseph Purpura, chair of the Department of Youth Ministry, has announced that the 2019 Special Olympic Coaches Application is now available for those youth who are interested in working at the Sports Camp. Additionally, for adults over twenty years of age, the Special Olympics Volunteer Form is posted as well. I greet you in anticipation of the great feasts of the Lord Jesus Christ - the Circumcision of our Lord and the Holy Theophany. 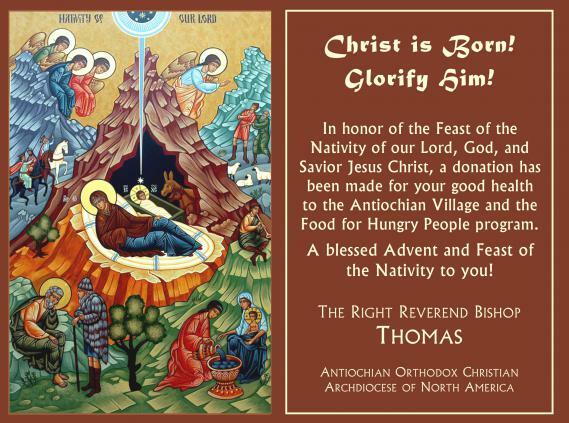 While the Circumcision is situated eight days after the Nativity and Holy Theophany concludes the festive 12 days of Nativity, both of these feasts are related to each other, and contain within them certain spiritual elements of the great feast of the Lord's Nativity. The feasts reveal the mysteries of the divine condescension. The Lord Christ, by taking on human flesh, redeemed our nature by assuming it for Himself. The feasts fulfill the law of God as Saint Epiphanios teaches: that the circumcision of the flesh prepared and served man until Baptism, which is the great circumcision of the heart, because through His Baptism we are released from sins and are sealed with the name of God. The sealing with the name of God is a recognition that we belong to Christ. Christmas is many things, which includes a story of two kings. One is from the world and the other King comes from heaven. The first king, Herod, was not confident. He thought his power had to be protected. Although he was wealthy, sat on a throne, and looked down on others, he was afraid of everyone. Instead of bringing smiles to people's faces, he brought tears to their eyes. When he heard from the wise men that a baby Boy was born of a Holy Woman in the countryside, a Savior who would serve and save the people, Herod's fear got the best of him and he was in a "furious rage." He looked everywhere to find this newborn King. This post appeared previously as a Raising Saints podcast episode and was published on Elissa’s blog on 1.2.16. Whether we celebrate on the Old Calendar or on the New, in our beautiful Orthodox tradition, we follow our 40 day fast with a feast that lasts not just one day, but several days. We prepare ourselves with the fast, pulling ourselves away from the comforts of rich foods, and showing some self-discipline, so that we can focus not on making ourselves comfortable and full, but on prayer and alms and study. We prepare our hearts in this way, and then when the feast comes, we multiply our joy with tables loaded with delicious goodies, which are all the more delightful because we haven’t seen them in a while. 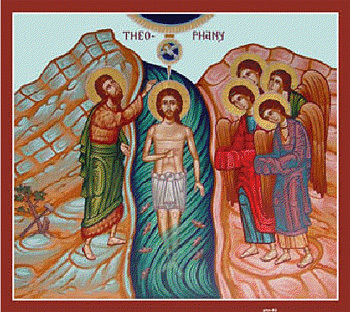 Because the Feast of Christ’s Nativity is so important, the feast lasts ten days — and then we return to fasting just in time to gather our wits and prepare ourselves for the great feast of Theophany, the day of Christ’s baptism. We take a short break from the feasting, and fast for just one day, in order to call our hearts to order and prepare ourselves to receive Theophany. New Year filled with His abundant and richest blessings. 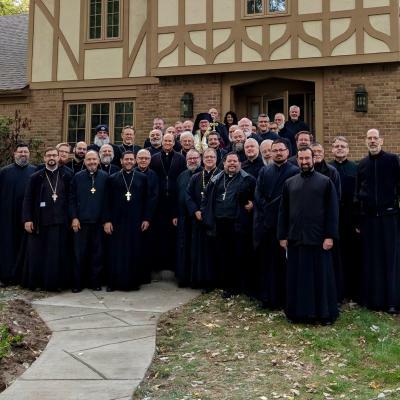 From November 6 through 9, 2018, his Grace Bishop THOMAS presided over the annual DOCMA Clergy Synaxis at the Antiochian Village Conference Center. Presbyters from the across the Diocese gathered to share fruitful conversation, pleasant fellowship, and good food. This year's speaker was the dean of St. George Cathedral in Pittsburgh, PA, The Very Rev. Joshua Makoul. His topic addressed how to deal with anger in ourselves and anger in the parish family. A Divine Liturgy was celebrated on the feast of the Archangels, and, as always, ample time was given for quiet meditation. The priests left strengthened in their bonds with one another and renewed in their calling to serve our Lord Jesus Christ and his Church. His Grace Bishop Nicholas visited Archangel Gabriel Parish in Lafayette, Louisiana from November 30 through December 2, 2018. This was the the first visit by a bishop to this parish in six years. In a busy schedule, the bishop met with the parish council, the children, the women and the men of the parish, led vespers on Saturday night and Orthros and Liturgy on Sunday. 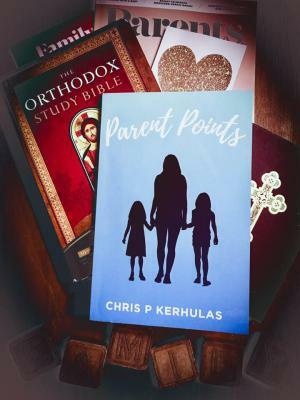 Father Chris Kerhulas’ book Parent Points is small but mighty. In its 107 pages, he blends his 40+ years of ministry experience with personal experience from parenting and grandparenting. Each chapter offers stories, wisdom, and insights into life as a young person, explained in a way which their significant adults can understand. Each chapter ends with “points,” takeaways for the reader to both meditate on and work on in their relationship with their children/youth. Parent Points was an enjoyable, but meaty read. It made me both laugh and cry. It allowed me to reflect/reminisce while also planning ahead for future interactions. Best of all, the book made me THINK. How do I interact with the young people in my life? How can I improve those interactions? How can I help them to grow towards Christ, conveying His great love for them through the way that I treat them? Department of Christian Education Provides Training Across the U.S. 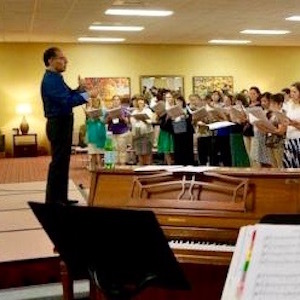 The Antiochian Department of Christian Education coordinates with local parishes throughout the United States and Canada who wish to host training events for their teachers. The following is a recap of those held in the Fall of 2018. If you would like to host a training in your parish for teachers or Church School Directors, please contact Leslie at the Department of Christian Education 717-747-5221, or aodce.events@gmail.com. 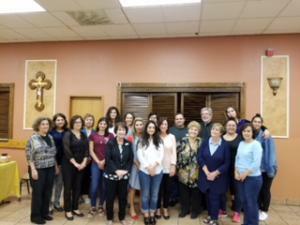 St. Elijah Orthodox Church, Oklahoma City, OK hosted a training for 17 teachers on Saturday, August 18. Diocese of Wichita and Middle America Coordinator Vasiliki Oldziey presented "Using the Classical Trivium to Engage Students" and "The Theotokos: Your Elevator Apologia for our Veneration of the Theotokos." Holy Ascension, Norman, OK teachers also participated. 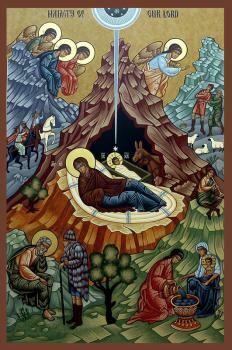 The Nativity issue of DIAKONIA, the newsletter of the Antiochian Orthodox Christian Women of North America, is now available online. This issue features the Diocese of Ottawa, Eastern Canada and Upstate New York, and includes an Advent Message from His Eminence Metropolitan Joseph. His Eminence writes: "...let us spend these days tilling the soil of our hearts through fasting and repentance, watering our souls with works of mercy and reconciliation, and placing ourselves in the Light through prayer and attendance at divine services. By these, we shall partake of the Holy Mysteries unto life everlasting." My grandparents and my parents were involved in our local church, and we grew up knowing it was our responsibility to continue their legacy. 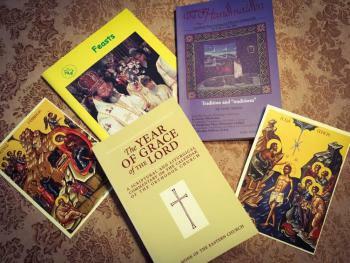 Through the Church, we have been blessed with many friends and a large Orthodox family." 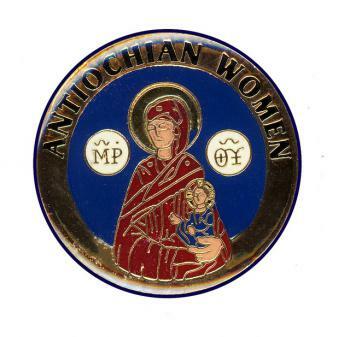 The issue also contains introductions to the diocesan officers and coordinators, and is filled with numerous reports and photographs from the Diocese's parish chapters of Antiochian Women. Reading through the Psalter is a beautiful discipline at any time, but especially during a Lenten period. Sharing this experience with friends is even more lovely. Over the years, I’ve been part of several Lenten Psalter groups. Alongside my sisters (and some brothers) in Christ in these groups, I have both struggled and enjoyed the process of reading twice through the Psalms during a particular Lenten period. 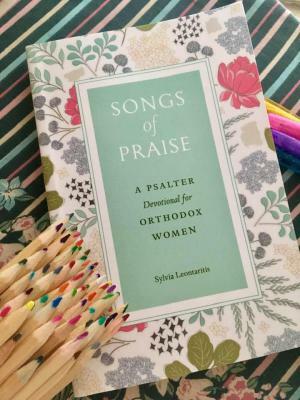 When I heard about Sylvia Leontaritis’ new book Songs of Praise: A Psalter Devotional for Orthodox Women, I was excited to have this pretty-covered version of the Psalter to be my companion book as I pray. What I did not expect was the chance to pray the Psalter while feeling that I was sharing the experience with a wise best friend. Both Sylvia’s heart for God and her desire to live a truly Orthodox life pour out through her words, simultaneously challenging and encouraging her readers in a way that is usually reserved for dear friends. The tone in which she writes welcomes the reader to embrace her observations, ponder them, and then consider how to implement the ideas for their own growth. The feasts of the Nativity (simply called "Christmas" in The Year of Grace of the Lord: a Scriptural and Liturgical Commentary on the Calendar of the Orthodox Church) and Theophany (referred to as "Epiphany’"in that same book) fall within days of each other, regardless of the calendar being followed. Christmas falls on Dec. 25 (or January 7), and Theophany follows on its heels, on January 6 (or 19). For many of us, local culture offers multiple traditions related to Christmas, but few (or even none) related to Theophany. The monk who wrote the book encourages his readers to think beyond our culture’s interpretations (or perhaps misinterpretations?) of these feasts, and embrace them in a truly Orthodox manner. 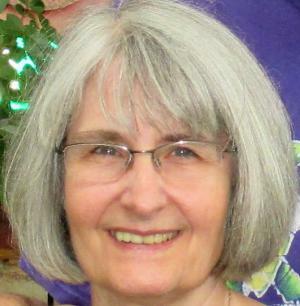 Sammye Fuller is in her seventh year as Sunday School Director at Holy Trinity Antiochian Orthodox Church in Little Rock, Arkansas. The parish has 25 students enrolled for the 2018-2019 school year. Please share with us a little about yourself. Technically, I have been the Sunday School Director for about seven years. However, since we did not have a Director before that, and I was the only Sunday School teacher in the beginning, perhaps it has been longer. We have four classes. The preschool class is for 2-ish to 5 years old, with one teacher and one or more helpers when available. Parents often stay if needed. The elementary class is 6-9 years old. I greet you in this season of the Nativity Fast, in anticipation of the Feast of the Nativity of our Lord. As the Lord Christ assumes our human nature in order to redeem it, we rejoice in His divine condescension and His munificent love. Saint Gregory Palamas notes, "Without being separated from the Father's bosom He who is in the world and by whom the world was made (John 1:10), came out and entered the world. He who fills heaven and earth came down from heaven to earth. Consequently, the coming forth of the only-begotten son of God, and His descent from heaven, represent nothing other than His manifestation in the flesh and His self-emptying, from the unutterable exaltation of divinity down to human nature at the other extreme" (Homily 47 On the Parable of the Sower). St. George Cathedral in Toledo recently had the pleasure to host Bishop Anthony and the Diocese of Toledo's annual fall gathering. A highlight of the event was the blessing of Bishop Anthony's new residence. Enjoy the pictures! 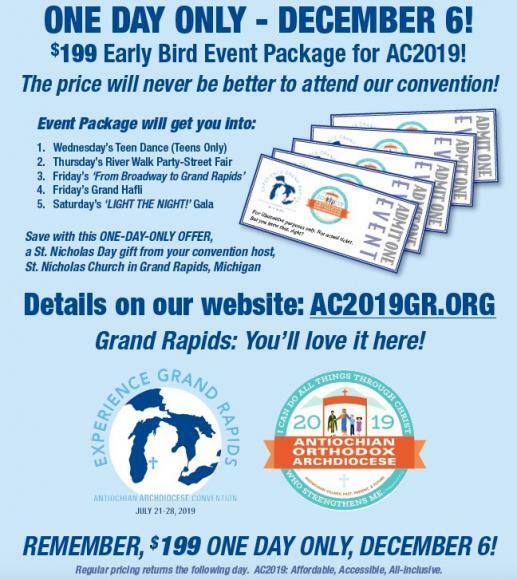 Early Bird Events Package for AC2019 in Grand Rapids, Michigan!